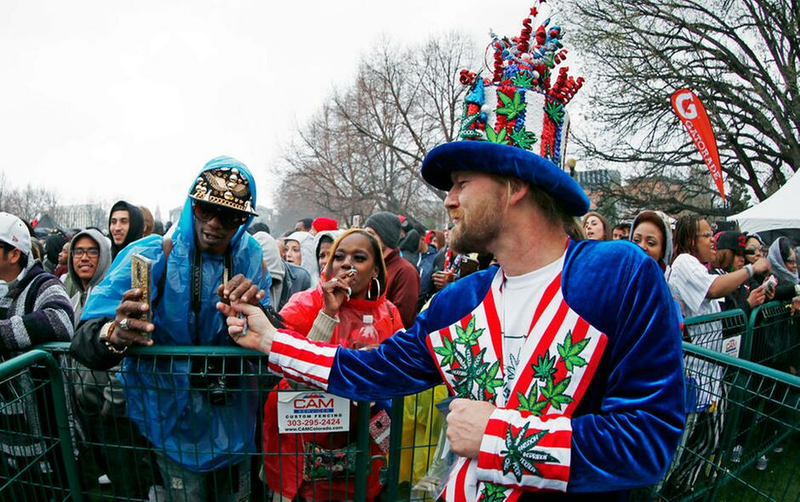 Patrick Bettis, of Glen Ellyn, Ill., a promoter of marijuana legalization, hands a joint to Larnell Rhea, of Denver, during the Mile High 420 Festival in Denver. President Donald Trump said Friday, June 8, 2018, that he’s inclined to support a bipartisan effort in Congress to ease the U.S. ban on marijuana, a proposal that would dramatically reshape the nation’s legal landscape for pot users and businesses. The proposal introduced Thursday has support from members of Congress from both parties, including Republican U.S. Sen. Cory Gardner of Colorado. "I support Senator Gardner. I know exactly what he's doing," Trump told reporters in Washington, when asked about the legislation. "We're looking at it. But I probably will end up supporting that, yes." The proposal's prospects in Congress were unclear. Gardner, who heads the Senate Republicans' campaign arm, is close to Senate Majority Leader Mitch McConnell. The Kentucky Republican has consistently opposed legalizing marijuana but has called hemp and marijuana "two entirely separate plants." The bill would change the definition of marijuana in federal drug law to exclude industrial hemp, which like marijuana is part of the cannabis plant family but doesn't contain the THC that gives pot users the high. Hemp produces the non-intoxicating cannabinoids, or CBDs, that have become a health rage and a lucrative crop in Kentucky and other states. Oregon Democratic Rep. Earl Blumenauer, a co-sponsor, said momentum was building in the House but "we just need Republican leadership in Congress to get on board or get out of our way, and for Trump to keep his word." 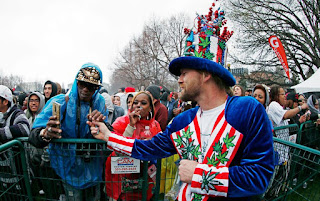 Another co-sponsor of the measure, Democratic U.S. Sen. Elizabeth Warren of Massachusetts, said in a statement that Washington "needs to get out of the business of outlawing marijuana." California, home to one in eight Americans, launched the nation's largest legal marijuana marketplace on Jan. 1 but thousands of businesses that have been licensed are still facing the threat of federal prosecution.